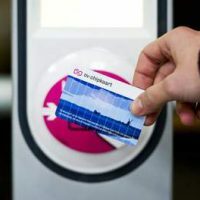 Rotterdam Day Tickets: The RET day-ticket provides people with 1 day off unlimited travel through Rotterdam – day or night – by bus, tram, and metro. It becomes valid when you first check in. 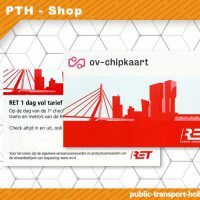 Rotterdam Welcome Card: To optimize your visit to Rotterdam, you may opt for the Rotterdam Welcome Card. This card will give you 1-2-3- days free transport with the local PTO: RET and 25-50% reduction on entrance fees of more than 50 attractions, museums, restaurants and nightlife of Rotterdam. 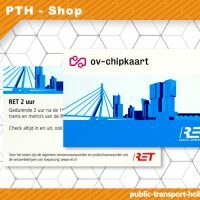 Tourist Day Ticket Rotterdam – The Hague: With a Tourist Day Ticket you enjoy unlimited travel by bus, tram, metro and waterbus throughout the South Holland Rotterdam & The Hague region for a fixed price for a whole day. The ticket is valid all day from the time you first check in until services stop running. Always check in when boarding and check out when exiting the bus, tram, metro or waterbus.